Ribwort and Mahonia - to combal inflimation and red skin. Sacilycic Acid - works keratolic to prevent the clogging of the pores. Acteosid and Berberin - plant ingredients which have antibacterial properties. These three ingredients work together to combat unclean skin for a clean and clear complexion. Clarifying Foam - is mild with a Tensid base. 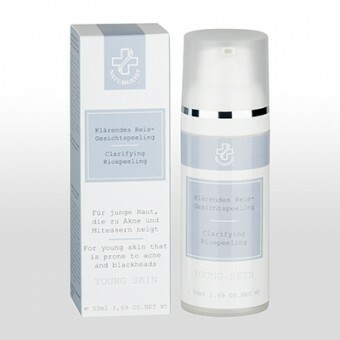 Clarifying Face toner - highly disinfecting and excellent for inpure skin. Free from chemical preservatives, Mineral oils and PEG's.